Common methods to add Sites and Organizations to your Hotjar account. Only the Account Owner is able to add/delete Organizations. User's with Admin permission are able to add Sites. An Organization represents a legal entity that owns one or more Sites. 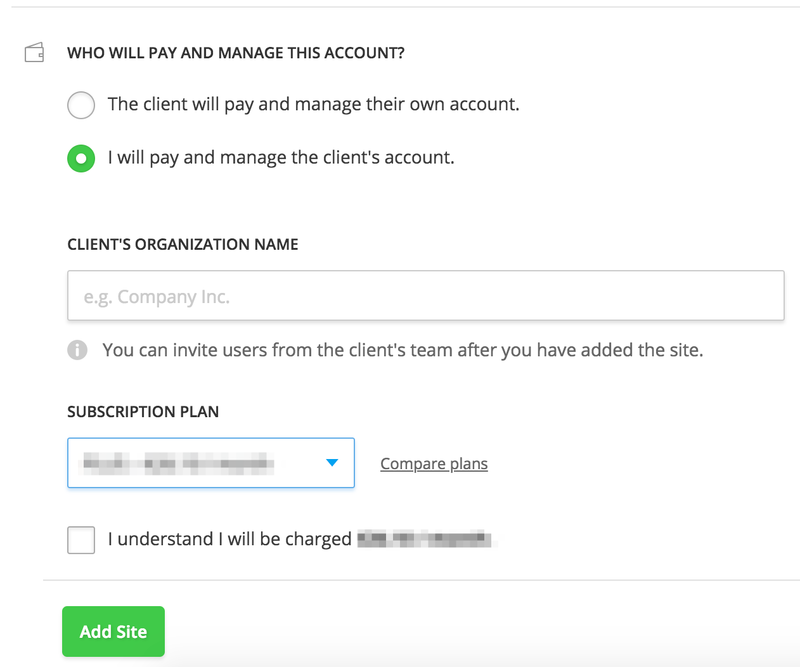 If you want to add a Site that is owned by a client, you are required to set this up as a separate Organization. Go to Sites and Organizations. Once you have named your Organization, make sure to click "Add Organization" to save the changes made. You can add an unlimited number of Sites to your account as long as they are owned by you or your Organization. Each Site will have its own Hotjar plan which will be charged on a per site basis. Check out our Plans and Pricing page to learn more! Click on Add new site. Once you entered the Site's details, make sure to click "Add Site" to save the changes made. Every Site added in Hotjar comes with its own unique Tracking Code. 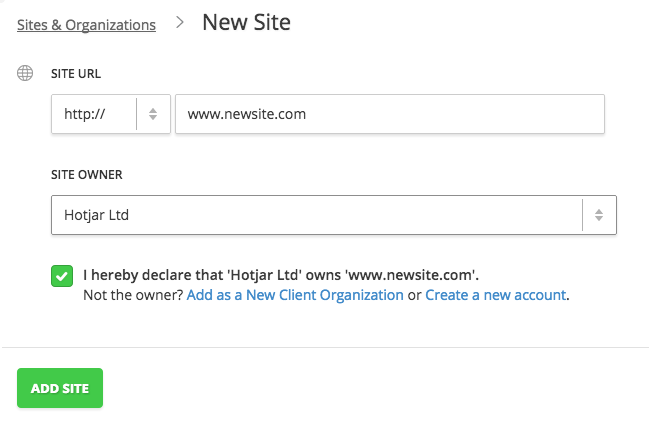 To track Sites separately in Hotjar, you need to make sure to install the correct Tracking Code provided for each Site. If on the other hand, you wish to generate funnels and record visitors navigating across multiple domains / sub-domains, you need to install the same Tracking Code on all these domains or sub-domains. If you are an agency, consultant or do not own the Site, but wish to add it to your Account, you can add a New Client Organization. 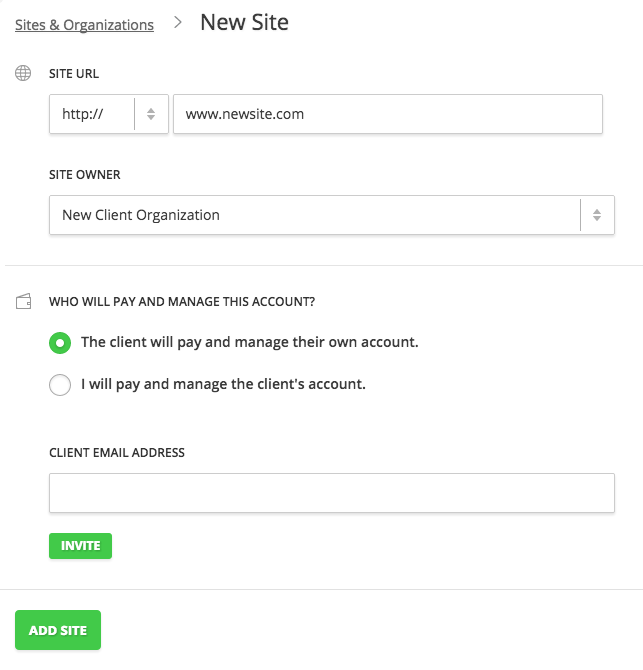 At this point, you will need to make sure to select "New Client Organization" as the Site Owner. Decide who will be paying for this account. The client can pay and manage the account or you can pay and manage the account yourself. Agency discounts are only able to be applied to Accounts that are paid for by the agency, not the client. Still have questions about using Hotjar for clients? Check out our article on how to use Hotjar for your clients here.